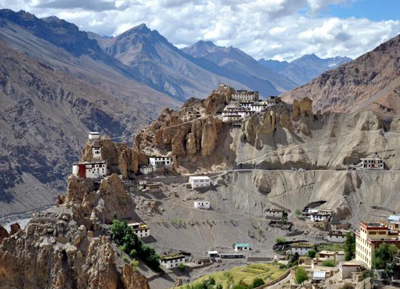 This beautiful monastery is locked between the rocky spurs at the top of clif in the Dhankar village at an elevation of over 3,800 meters in the Spiti valley. 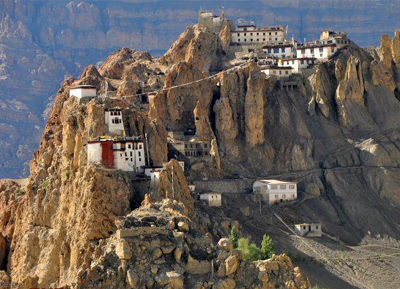 It is a 16th century old fort monastery, which has also served as a prison in the erstwhile era. 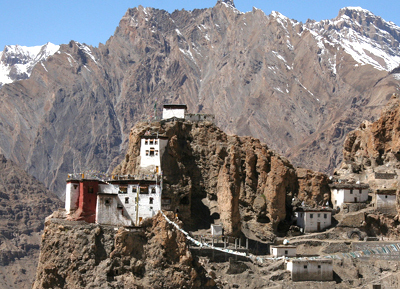 The Dhankar Gomba is over 1000 years old and is connected to the rest of the valley through a Motorable road, which is good for small vehicle only. There is a new monastery in the small village of Shichilling below the old monastery. The old monastery is associated with the Great Translator, Rinchen Zanggpo, and its complex comprises a number of multi-storey buildings perched together. Highlights The monastery also has a statue of Vairochana or Dhayan Buddha with four figures seated back to back inside the monastery. One can also find Buddhist scriptures in Bhoti language, murals of Medicine Buddha, protector deities, and Buddhist thangkas. 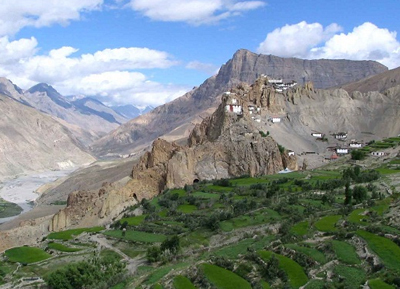 The Dhankar of Spiti Valley is one of the most captivating landmarks of Spiti Valley with an awe-inspiring setting and backdrop. The Dhankar Lake is another lesser known attraction, which is about 2 kms trek uphill from the monastery. Many people visit this scenic lake whenever they are in Dhankar to pay a visit at the Dhankar monastery. The increase in tourist inflow has helped Dhankar to raise the standards of basic infrastructure around the village. Now, the tourists can easily get facilities like accommodation and food, as the village is connected by tar road. 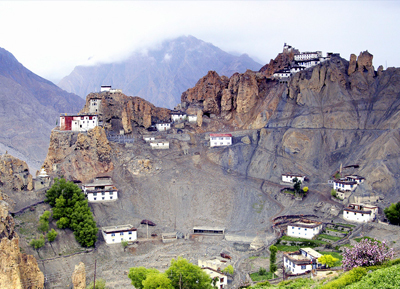 Surrounded by mud ridges and mountain, the Dhankar Monastery is perched on top of a hill in one of the most spectacular way . This place is certainly a photographer's delight, who would love to capture the view of the confluence from the top of the monastery.